The ‘Wrap Around rug’ is a unique handmade product designed by Made 4 ewe props, using all natural, freshly shorn fleece, sourced from local Australian farmers. 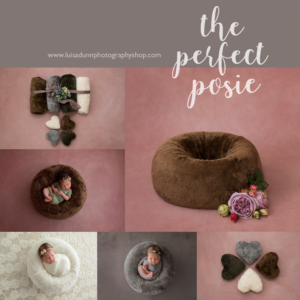 The hand-felted rug measures between 70-75cm and is designed with a side split to allows you to sink the babies bottom into the middle of ‘The Perfect Posie® ‘. The split allows you to remove the rug without lifting the baby, so you can change your set up with ease. It is large enough to be used for sitters and can be folded onto itself to fit any size prop. It is the most versatile and strongest rug on the market! We take personal care to ensure your product is of the highest quality and guarantee that it is cruelty-free; made only with the love of local mums and the support of local suppliers. Every sheep has a varied curl and crimp therefore you will never see the exact same fleece twice. All rugs are unique and one of a kind and may vary in weight and size. Please be aware there may be some vegetation matter present.